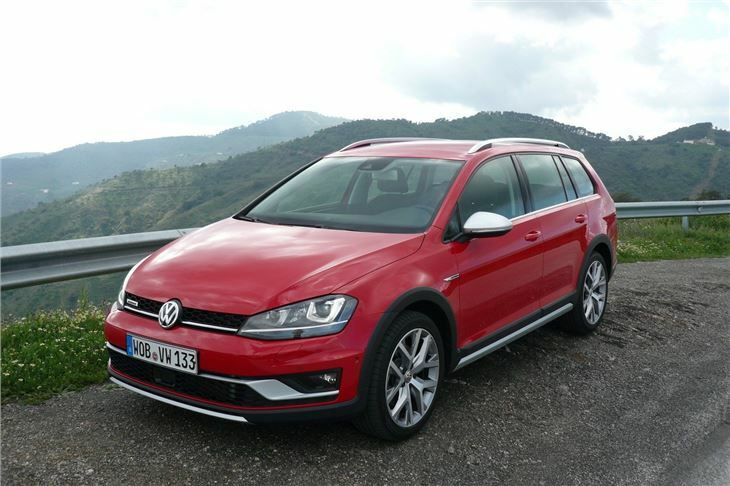 I apologise for making this a test of the Volkswagen Golf Alltrack. 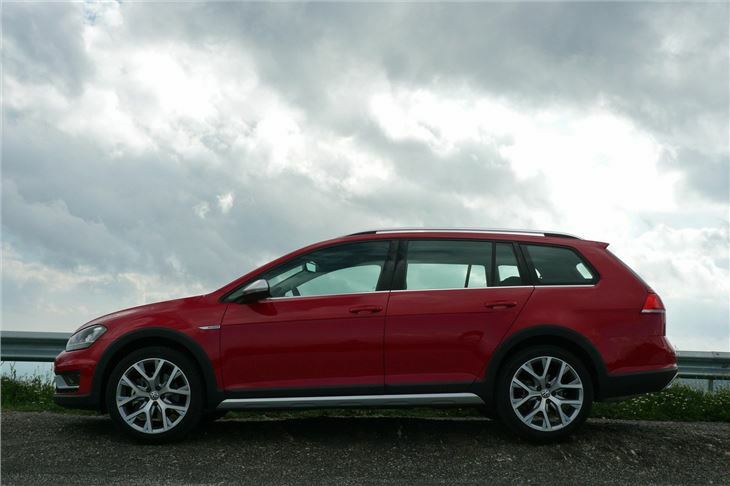 It was supposed to be of the Golf R estate, but we wound up spending most of our time in a three car test with the one we liked the most, which, surprisingly, turned out to be the Alltrack. 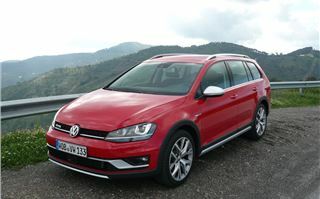 There are three versions of it: a 1.6TDI 110 at £26,790; a 2.0TDI 150 at £28,155; and the one we drove, which was a 2.0TDI 184 DSG at £30,595. 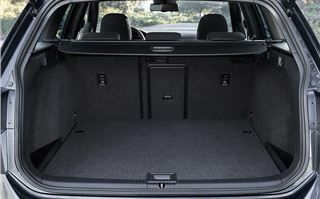 SEAT builds a similar car on the same MQB subframes and with the same engines and transmissions called the Leon X-PERIENCE at slightly lower prices from £24,385 to £28,870, but lacking some of the interior niceties such as a velour lined glove locker that VAG makes exclusive to Volkswagens and Audis. I quite liked that car too, and you can read about it here, but somehow Volkswagen has made its Alltrack even better. The next unexpected pleasure was the performance. I’m not the World’s biggest fan of VAG diesel engines, nor of DSG twin clutch transmissions. But for this latest incarnation of the 2.0TDI, VAG has moved the exhaust manifold to the cylinder head for much greater efficiency and it works a treat, giving 380Nm torque from 1,750 to 3,250rpm. The DSG sits well with it on the road, too. Slap the lever to the right for manual changes using the paddles. Pull it back for later upchanges in automatic Sport mode. 60 mph comes up in 7.5 seconds, top speed is 136mph, ECDC economy is 56.5mpg, emissions are 132g/km and mph/1,000rpm in 6th is a sensible 37.5. Talking more about modes, the ‘Mode’ button not only allows you to select ‘Comfort’, ‘Normal’ or ‘Sport’, you can also choose ‘Eco’, ‘Individual’ or ‘Off Road’. In ‘Eco’, upchanges happen earlier for better economy. ‘Individual’ opens up a sub menu allowing you to tailor the Dynamic Chassis Control, the steering sharpness, the engine response, the Adaptive Cruise Control, the Dynamic Cornering Lighting and the Air-Conditioning individually to ‘Normal’ or ‘Sport’ as you prefer. 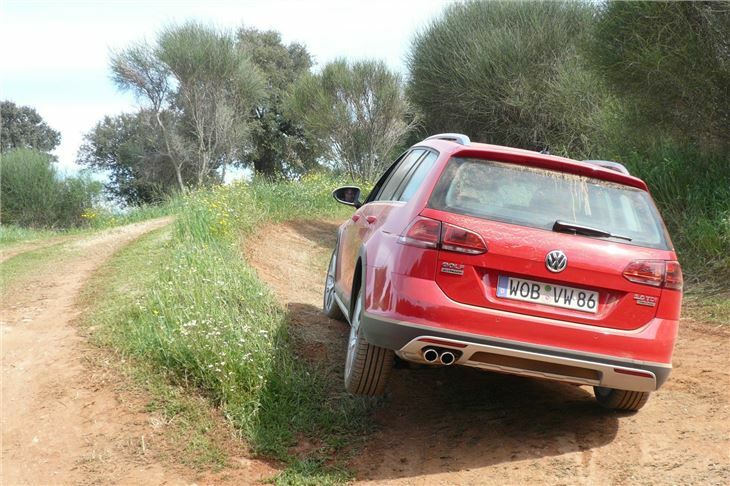 The last button, ‘Off Road’ modifies the cars behaviour for challenging off-road conditions. Selecting it activates a ‘foot off the accelerator’ hill decent control at speeds from 0 to 20mph to control the car’s speed using the ABS down steep inclines. 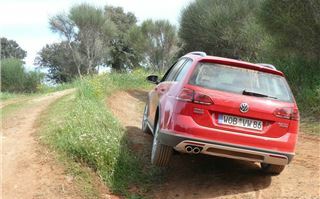 It also modifies the accelerator response for optimal off road driving. And that works better than you have any right to expect of a £30,000 car that is also brilliant on the road. Alltrack literally means what it says on the badge. 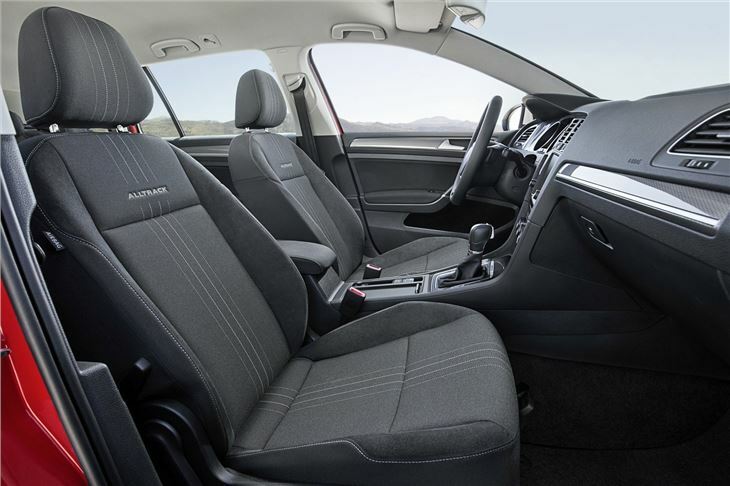 The car is good on every type of road and every type of track, within reason, and the same system proves itself in mud in the SEAT Leon X-PERIENCE. It can even tow 2,000kg. 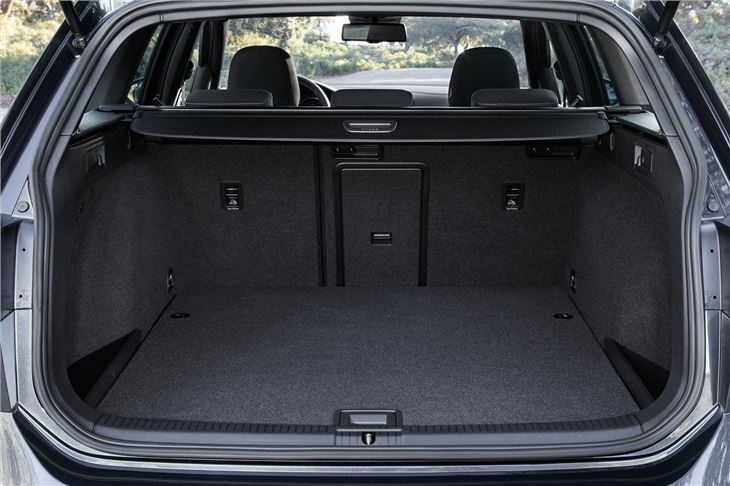 So the Volkswagen Golf Alltrack is pretty much all the cars you could ever need in a single body. All, that is, apart from a race car, a convertible or a 7-seater.